Once again the rich folks in Lexington are talking out of both sides of their mouths, and it really irritates me. 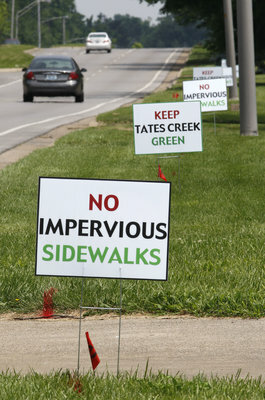 They claim that they oppose the sidewalks on Tates Creek Road because it will spoil the grass, because it will be dangerous for people to walk there, and because the people will be exposed to exhaust fumes. But we know better, don’t we? The truth is that they don’t want *that kind* of people walking in front of their million dollar homes. Whenever there’s something proposed in Lexington that benefits the low-income folks who don’t drive SUVs and don’t own horses, it gets shot down. And the sidewalk proposal will probably fail in the city council tonight, because the city council is a bunch of spoiled rich kids who are more interested in having direct flights to Las Vegas and Martha’s Vineyard than they are about whether their less advantaged neighbors are able to walk to work without ruining their clothes. It’s not even like there’s a cost involved – this is a federal grant. The number of completely ludicrous statements made in opposition to the sidewalk would be funny if it wasn’t so disgusting. … leaning against the side of his Lexus SUV that gets 7 miles to the gallon, downhill. …. Presumably because they all have SUVs, too, and so don’t need to walk anywhere. … Presumably because he was talking on his cell phone and drinking his Starbucks at the time. Lexington is increasingly a divided society, with a widening gap between the rich folks that run the show and the poor folks who make up the majority of the population. Here’s hoping I’m wrong about the council meeting tonight. At least this is a good sign. 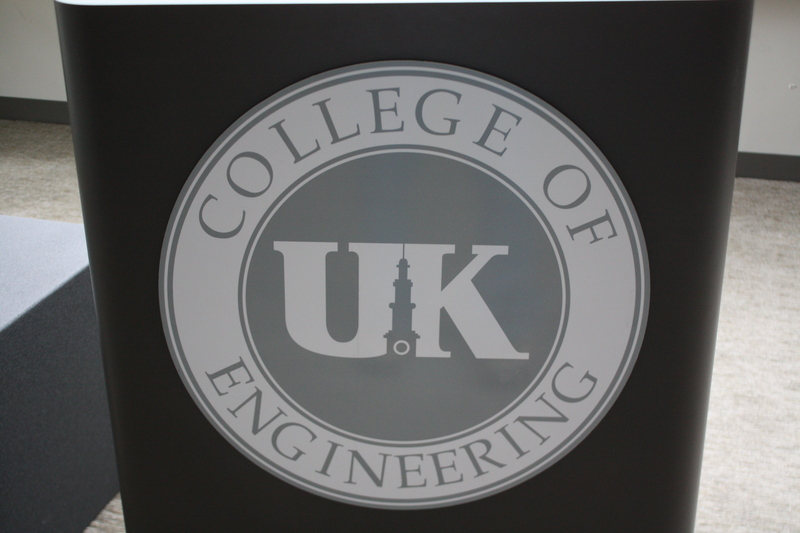 Lexington has a new website. I won’t complain about the design, because I’m not a designer, and only vaguely know good design from a hole in the ground. Designer friends and acquaintances assure me it’s terrible. What do I know? I could, I suppose, complain that the calendar has RSS, but no ICal, so it’s not actually useful. But I suppose that not everybody likes for calendars to be actually useful. However, what I will complain about is that the website was produced by a company not only outside of Lexington, not only outside of Kentucky, but in California. I’ve mentioned before, I know. how much it bugs me that the Lexington City Council routinely makes business decisions that harm central Kentucky and assist folks outside of our local economy, so this shouldn’t be a surprise to me. But it still irritates me. Enormously. Our city council is a bunch of rich folks who never had to manage a budget bigger than their grocery money, and are now running the show for a small city. I admit, it’s a tiny city, and really probably not very important in the grand scheme of things. But it’s MY city, and it’s MY home, and it’s where MY kids go to school, and it’s where I pay taxes. And, darn it, I want to support LOCAL businesses, LOCAL farmers, LOCAL schools, and LOCAL artists. It infuriates me when our city council *consistently* sends work out of state, when there are DOZENS of local web firms that could have done the job cheaper and better, and kept the money in the local economy. I’d have voted for someone else in the city council race, but my district’s seat was uncontested. Lexington is host to the 2010 FEI World Equestrian Games. Exactly what this means, I’m not sure. Something like a horsey olympics. Folks around here seem to think it’s a big deal. This has been the excuse for a wave of short-sightedness that is epic even for Lexington, where the City Council seems to be composed of people who can’t think past the end of the week unless someone draws pictures. In preparation for these games, just 2 years away, they are spending a huge amount of money, and building a facility to host them. The assumption is that after the games, folks will flock from around the world to use our fabulous new facility. Of course, since Lexington doesn’t have an international airport, this seems wildly unlikely. Additionally, and more sadly, they are building a ginormous hotel downtown to host the folks who will come for the games. So for a couple weeks, we’ll have a full hotel in Lexington, and then for the next 20 years it will be an empty eyesore. But, even sadder, they chose to tear down some of the oldest buildings in downtown lexington, and drive out some of the longest-established businesses in downtown, for this venture. They had a city council meeting in which they asked for the people’s opinion on this. The people, unsurprisingly, were strongly opposed to it. 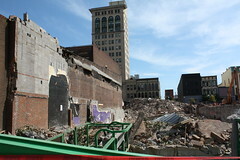 However, the city council see this being a cash cow, and can’t think past the end of 2010. Tragic. So The Dame is no more. And the Mad Hatter is no more. And a number of other businesses that were here when my parents were in college. And for what? So that some ponies can prance about and some arab sheikhs can be comfortable for two weeks. Then what? Well, the current city council will no longer be in office, so what do they care?